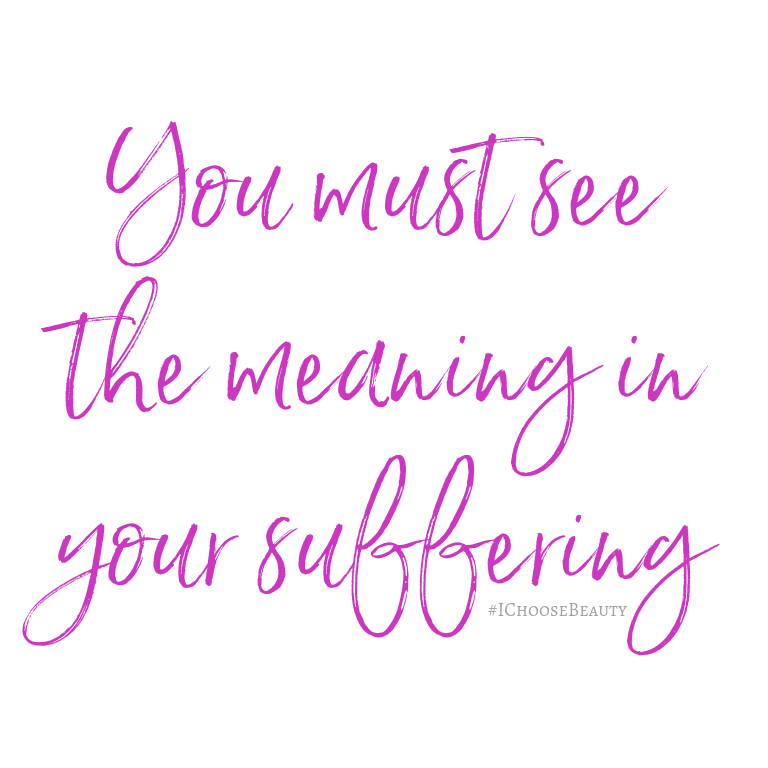 When my therapist first told me that there is meaning in suffering, I couldn’t quite wrap my head around it. How can there possibly be a point to our pain? He then suggested I read the book, “Man’s Search for Meaning” by Viktor Frankl. Frankl was a Holocaust survivor, and the book is incredible. I highly recommend it, especially if you’re struggling with something in your life right now.